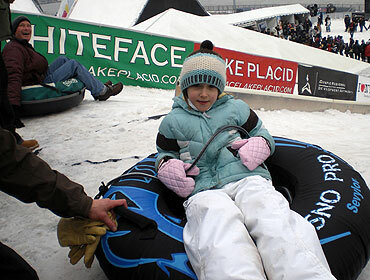 The Snow Flume was introduced in 2008 at the NYC Parks & Recreation’s Winter Jam as family sledding attraction. 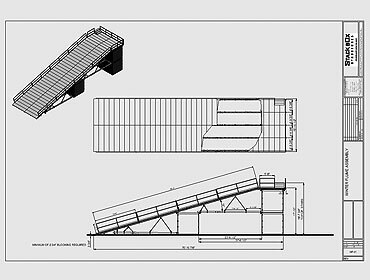 The Snow Flume returned with an improved system that created divided sledding channels to double the capacity. Good thing… 30,000 people showed up to sled and ski at Winter Jam. The Red Bull Snowscraper was also a major new attraction for the 2009 Winter Jam with a demo event featuring the next generation of snowboarders. The event was introduced by NYC Major Bloomberg who is an avid skier.